The Van Briggle Memorial Pottery was dedicated 12-3-1908, built in the memory of Artus Van Briggle, by his wife Anne. Located at Uintah & Glen in Colorado Springs, the magnificent building is covered inside and out with over 5000 hand-made tile. Van Briggle Pottery Co. owned and operated the building as a working pottery until 1968, when it was sold to Colorado College. The college has been an excellent caretaker of the building, and it houses working offices. For this reason, it is open to the public once each year for an exclusive guided tour. Tours are coordinated by the C.C. Women’s Educational Society, for a nominal charge, which benefits their student scholarship fund. 8:30 a.m. Dedication of Plaque to Fred Wills, Van Briggle Potter 1947-1988. Fred also volunteered, throwing pots of the wheel, for these tours every year. He passed away in November 2016. 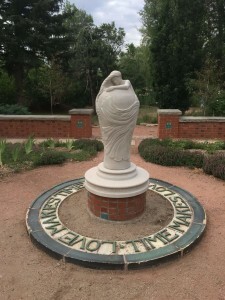 Noon: Dedication of the Lorelei Statue in the gardens just south of the Memorial Pottery building, by the Historical Arts Society of Colorado Springs. This beautiful sculpture will reside in a place of prominence within a tiled decorative circle that once decorated the Markscheffel building in downtown Colorado. 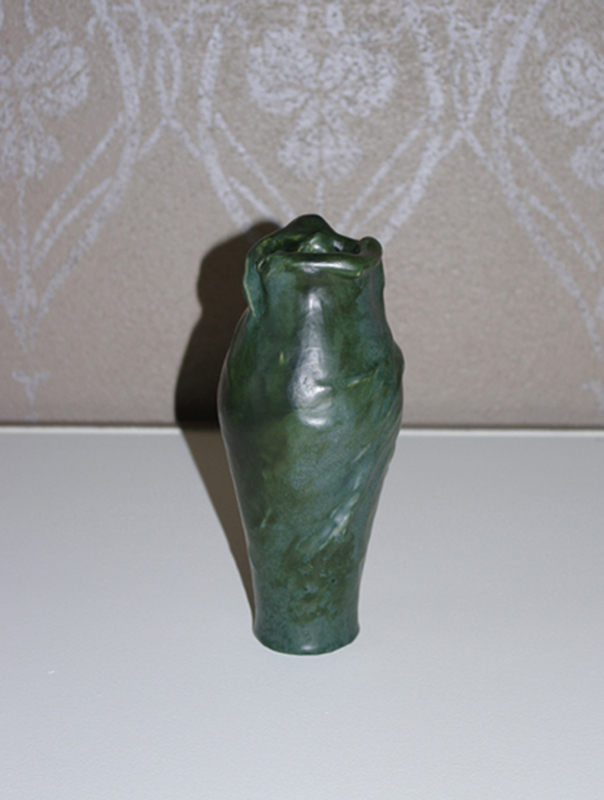 In 1900, Artus Van Briggle began designing his earliest creations in Colorado Springs. Design #17 was named “Lorelei” and was created that first year. There are no known examples of this vase prior to 1901. The design remained one of the most popular throughout the 112 year history of the Van Briggle Art Pottery Company. A photo is included of this early 1902 Lorelei, contained within the Lois Crouch Collection at the Colorado Springs Pioneers Museum.